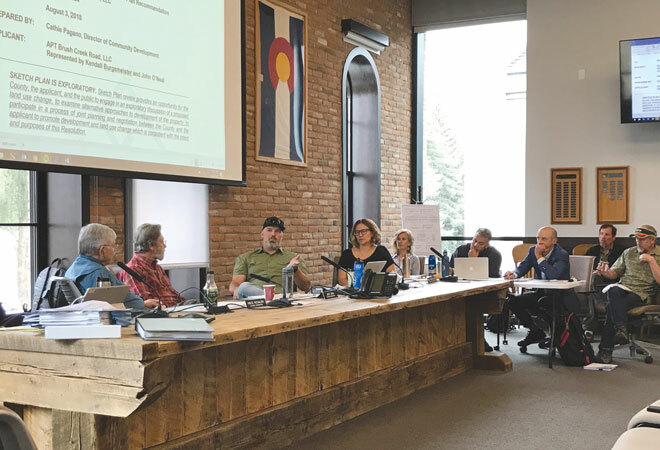 The Gunnison County Planning Commission on Friday unanimously recommended to the county commissioners that no more than 180 units be allowed as part of The Corner at Brush Creek housing plan. That was one of 38 conditions for approval of the sketch plan that the planners sent to the county commissioners. The density issue discussion came up early and often during the three-hour Planning Commission meeting, where the four planning commissioners went over the draft recommendation prepared by county staff. That staff recommendation did not suggest any specific density allowance. “Is this the right recipe?” asked Cattles. “The number one concern is density. We need to get the density under control to some degree to get the two towns [Crested Butte and Mt. Crested Butte] and the neighborhood on board to some degree. It is a contentious process. We don’t want that for you or for us,” said Cattles. “Even the 180 number will have a huge impact,” responded Cattles. “The 220 is still way too much,” added Diani. “After the site visit I felt it was trying to compress too much in that space.” He noted the 180 figure is a 25 percent reduction from the original proposal for 240 total units. 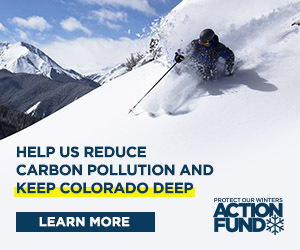 Diani also pointed out it was not the board’s job to consider the financial feasibility of any project and he noted that if Vail completes the purchase of the Crested Butte Mountain Resort ski area this fall, that could add a new element onto the overall picture. “We need to make hard choices and affordable housing needs density,” said Rogalski. “Having 180 units out there is still dense to me,” said Cattles. “I can support 180 if we keep the proportion of the affordable housing AMI [Area Median Income] requirements the same,” said Diani. “The preliminary plan doesn’t need to be exactly the same. It can be adjusted,” said Pagano. The other planning commissioners agreed with the idea of somehow returning parking to the transit facility but didn’t feel the applicant should be solely on the hook to provide it. The availability of water was also discussed and the planners wanted to make sure there was adequate water in a dry year to support the development. But they did not feel it was Gatesco’s responsibility to solve the water issue for the entire area. “If there isn’t enough water for this project we have a much bigger problem in the entire county,” noted Mugglestone. The planners were in favor of having an ownership component in the affordable housing mix and wanted to ensure that deed restrictions were guaranteed in perpetuity, even in the case of a foreclosure. They were glad Gatesco was applying to the East River Sanitation District for sewer services but also expressed comfort in a stand-alone wastewater treatment plant similar to the one in Crested Butte South. They insisted that design standards of the buildings be compatible and modeled after the ones in the nearby Larkspur and Skyland subdivisions. In the end, the Planning Commission recommended as part of the sketch plan that “the project is compatible if it has a density of no more than 180 units; this finding does not suggest that at Preliminary or Final Plan a lesser number may not be required.” Rogalski expressed discomfort at that cap but the other three commissioners agreed it was appropriate. The board also included a condition that a piece of the property be dedicated to an intercept parking lot and transit facility. They also included the condition that three of the four ownership partners in the MOA (Memorandum of Agreement) that controls the property must agree to the plan before Gatesco can submit an application for Preliminary Plan. The recommendations were sent to the county commissioners, who considered it at Tuesday’s meeting.